Smith’s bill would make charitable tax deductions universal and “above-the-line,” allowing all taxpayers the option to write off charitable donations on their taxes whether or not they choose to itemize, providing maximum relief for those looking to donate to tax-exempt charitable organizations. The amount of charitable contributions would not be capped under Smith’s legislation. The bill is supported by a consortium of charitable and faith-based organizations and philanthropic networks, including Agudath Israel of America, the Union of United Orthodox Jewish Congregations of America, the New Jersey Catholic Conference, United Way Worldwide, the Animal Welfare Institute, the Council on Foundations, the National Association of Charitable Gift Planners, the Faith & Giving Coalition, the American Littoral Society, the New Jersey YMCA State Alliance, the Alliance for Charitable Reform, Independent Sector, and the Humane Society Legislative Fund. Nathan Diament, Executive Director for Public Policy for the Union of Orthodox Jewish Congregations of America – the country’s largest Orthodox Jewish umbrella organization – welcomed the legislation. “We at the Orthodox Union are grateful for Rep. Smith’s tireless efforts to bring this bill to fruition. Nonprofit groups, including the Orthodox Union, depend on taxpayer support to carry out our work, and this legislation will encourage people to make much-needed contributions that will strengthen charitable organizations across the country,” he said. Under the bill, “taxpayers will once again be encouraged to support charitable activities that serve so many needs in our communities,” Liss stated. “This is a critical piece of legislation that will allow all Americans, regardless of their income level, to receive a tax benefit for charitable giving. The bill therefore not only recognizes the great importance of philanthropy in this country, but it has the potential to unlock millions and millions of dollars in new charitable giving. 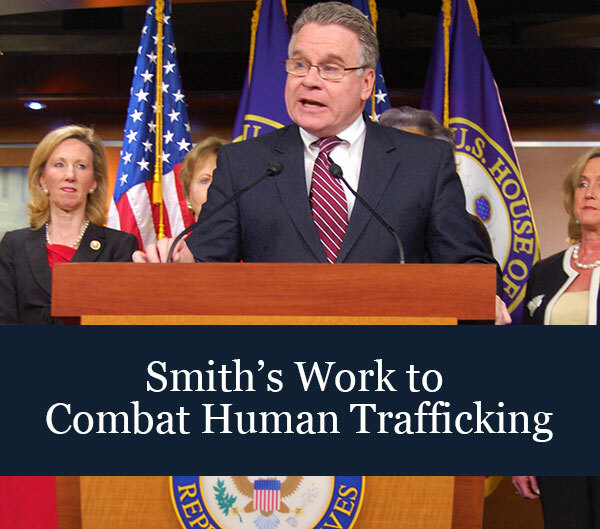 We applaud Rep. Smith on his leadership on this issue,” Michael Kenyon, President and CEO of the National Association of Charitable Gift Planners, stated. “By ensuring that taxpayers at all income levels can deduct their charitable gifts, this legislation can strengthen America’s houses of worship and faith communities and increase fairness in the tax code. We want an America where all—not just the wealthy—are encouraged to contribute to their communities through faith-based and other charitable organizations,” Brian W. Walsh, Executive Director of the Faith & Giving Coalition stated. “Preserving the deductibility of charitable contributions is critically important to supporting conservation work,” Tim Dillingham, Executive Director of the American Littoral Society, stated. “While total giving remains robust, the number of American households who give to charity has declined every year for the last decade. The Charitable Giving Tax Deduction Act is a bipartisan solution to this alarming trend and will bolster America’s vibrant and independent civil society. We applaud Reps. Smith and Cuellar for introducing this legislation and for acknowledging that charitable gifts from all Americans should be recognized regardless of income,” said Sandra Swirski, Executive Director of the Alliance for Charitable Reform.